Jenna followed Ada with Goody in Rufus Norris' Sleeping Beauty at The Birmingham Rep, and Foible, in Congreve's The Way of the World at The Chichester Festival Theatre, opposite Dame Penelope Keith as Lady Wishfort. 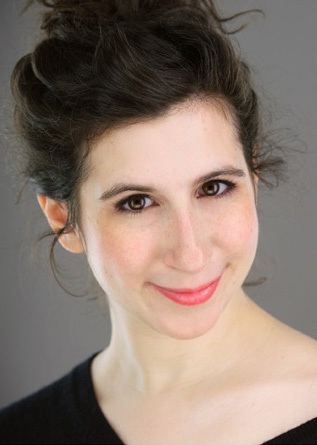 In the U.S., Jenna has played Julia in The Two Gentlemen of Verona (The Commonwealth Shakespeare Company), Mitzi in A Murder Is Announced (Lyceum, Arrow Rock), All the Women/Narrator in A Christmas Carol (Grove Theatre Center), and Tessa in The Gondoliers (The Sierra Madre Playhouse). Film and Television include: ’The Night Watch’ (BBC) and the lead role of 'Josephine’ in the film ‘Josephine and the Roach’ which won two student Emmys and a Student Academy Award. Jenna is a proud member of BAE, AEA, and SAG-AFTRA.